Throughout the life of your vehicle, or at least during the time you own it, you will likely have to conduct some sort of auto maintenance to keep it running and driving with ease. In many cases of auto maintenance a part must be removed and replaced. This is quite common, and while some need replacement much more frequently than others, you shouldn't second guess your owner's manual's direction for maintenance. Let's take a look at some of the most common auto parts that are replaced during routine auto maintenance. Every time you hit the brakes the brake pads will wear a little bit more. When they get down to the metal your brakes will begin to screech when applied. Get to the repair shop ASAP! Your car uses a number of different filters, all of which need to be replaced at some point or another. This includes the air filter, cabin air filter, oil filter, fuel filter and in some cases the transmission fluid filter. Just like the batteries in the TV remote, your car battery will die, and likely at an unopportune time! If your vehicle uses a timing belt be sure to never put off its replacement. If you neglect to have this service completed and the timing belt snaps your car's engine could experience major damage. Both the starter and alternator will likely need to be replaced at some point. These parts play integral roles in the operation of your vehicle, so be sure to have them repaired as soon as a problem arises. The spark plugs in your car's engine are what generate the spark that ignites the air and fuel mixture that powers the engine. Over time the spark plugs corrode and need to be replaced, or else you will face misfiring, which wastes fuel and causes power issues. 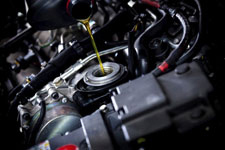 Routine auto maintenance is necessary for all cars, so be sure to provide your vehicle with the services it needs! If you need to schedule factory auto maintenance in Sacramento be sure to visit Freeport Automotive. Our team is committed to providing expert auto service for all makes and models. Give us a call today at (916) 389-2405 to schedule dealership alternative auto maintenance in Sacramento.